In 1962, a young John Cohen and the young songwriter Bob Dylan went to Cohen's East Village loft and rooftop for a few hours to make some photos in "a moment of invention…without planning, and with the freedom that comes from uncertainty," recalls Cohen. 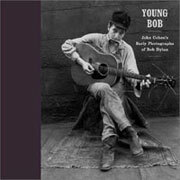 The never-before-published, black-and-white photographs in Young Bob: John Cohen's Early Photographs of Bob Dylan, reveal the soon-to-be-legendary musician of the cusp of fame, just before the release of his revolutionary self-titled first album. To complement the images, Cohen has painstakingly transcribed and edited forgotten radio interviews that aired between 1961 and 1963. For more than fifty years, Graphis has earned the respect of the global art community with work selected from professionals who are the best in the business. Today it continues to be a distinction for accomplished photographers, designers, art directors, illustrators, and product designers to be included among the pages of a Graphis publication. We are grateful for your contribution, which has enabled us to maintain our standard of excellence. A photographic study of the ancient sites of Ireland with notes by the author of events and experiences he had while working on the project. As the photographer and writer, Tom has been to Ireland countless times. The book is made up mostly of ancient sites - stone circles, ring forts, standing stones, with specific attention paid to places like Newgrange, Knowth, Carrowkeel, and other locations where many of the ancient stories and legends were born. 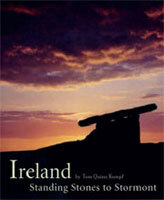 These books each contain 28 5”x7” postcards of beautiful timeless images of Ireland. This ancient land of misty hollows and humid light has been shaped by the forces of nature and the hand of man from the highest of the windswept highlands to the rain-blasted cliffs and strands of the coastline. Ireland is known as the Emerald Isle, a paradise of green, a place of rich and robust color. It is also a land of line, form, and constantly changing light. This makes it an ideal place to explore, slowly and intentionally, in black and white. The Burren is an amazing expanse of limestone cliffs and plateaus in northwest County Clare. Lacking the lush greens which so distinguish Ireland, the grey limestone pavements often shock the first-time visitor with their severity and starkness. But the Burren is far from just the stony place its ancient name implies, and a closer look reveals a landscape full of life and vitality. From the eerie starkness of the Burren highlands to the rain-lashed cliffs and strands of the coastline, Ireland speaks of strength, of resonance, of life. Every square inch of Irish turf has been pressed flat by the tread of a human foot. Every mountain and lough has been host to a hero, every new scene draws the soul to another, and in Ireland especially, every place name is linked to some special character or event in the past. Fifty-eight duo-tone photographs, accompanied by self-contained essays, present an unbiased, nonsectarian, moving insight into the Troubles in Northern Ireland. 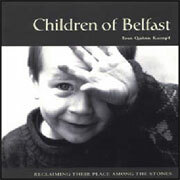 The children, Protestant and Catholic, are real, their stories genuine and heartfelt. Their strength, resilience and stamina speak volumes. This compelling, uplifting and readily accessible work will further understanding of contemporary Northern Ireland and the complexity of a solution. Harley Nation is a book focusing on the people that ride. It is an up close and detailed photographic study of a most interesting peoples. The black and white format instantly divorces the viewer from reality and takes us to an observation point not otherwise achievable. Harley Nation contains 48 beautiful black and white reproductions printed within 112 pages. Include this information with your phone order. Visa or MasterCard number, include the expiration date.